Marv Owen, a star third baseman for the Detroit Tigers who was there to play in an exhibition marking the occasion, recognized the moment’s significance and brought two balls that he had the 11 men sign — one for himself, and one for his former teammate Hank Greenberg. 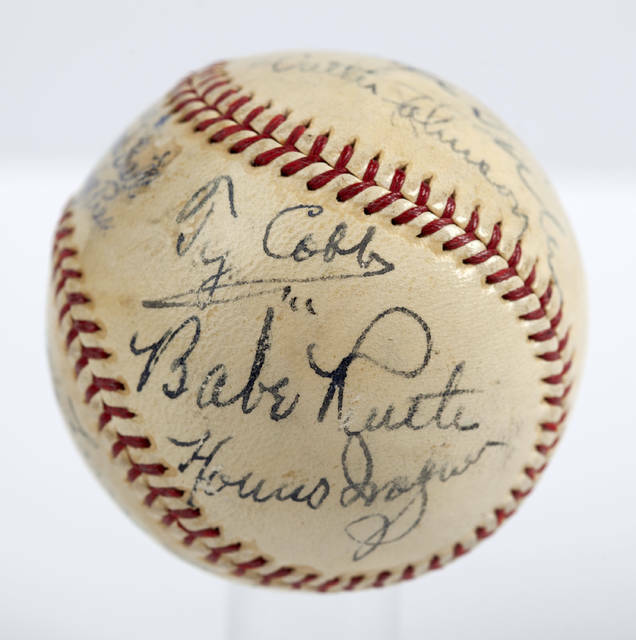 The names weren’t haphazardly scrawled all over the ball, either. It was as though Owen had future collectors in mind when he collected the signatures in dark, lasting ink. And their placement doesn’t seem random either. 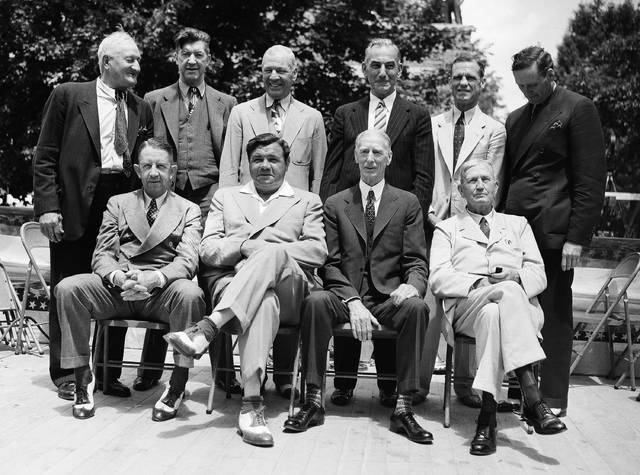 On one panel of the ball, stacked atop each other, are Cobb, Ruth and Wagner, at the time considered the three greatest players of all time, with Walter Johnson, then considered the greatest pitcher of all time, hovering above them. Greenberg’s ball has been lost to history.